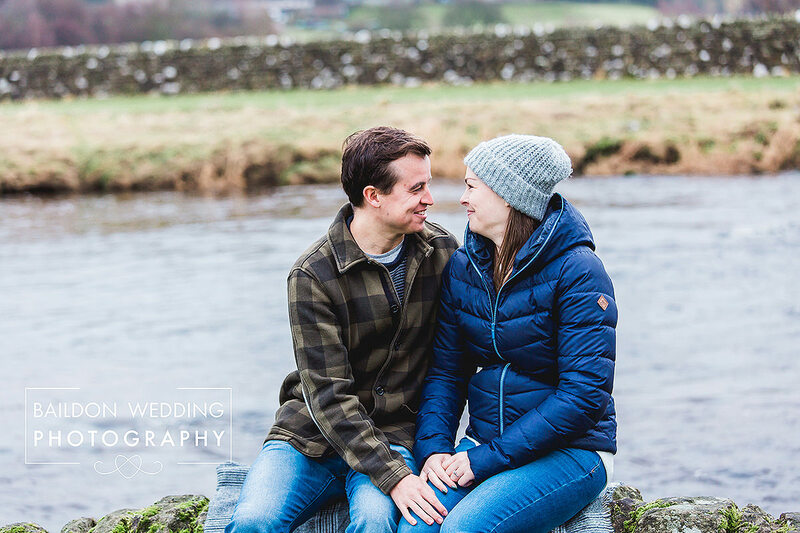 Just before Christmas, I met up with Danny and Alison for their engagement shoot. 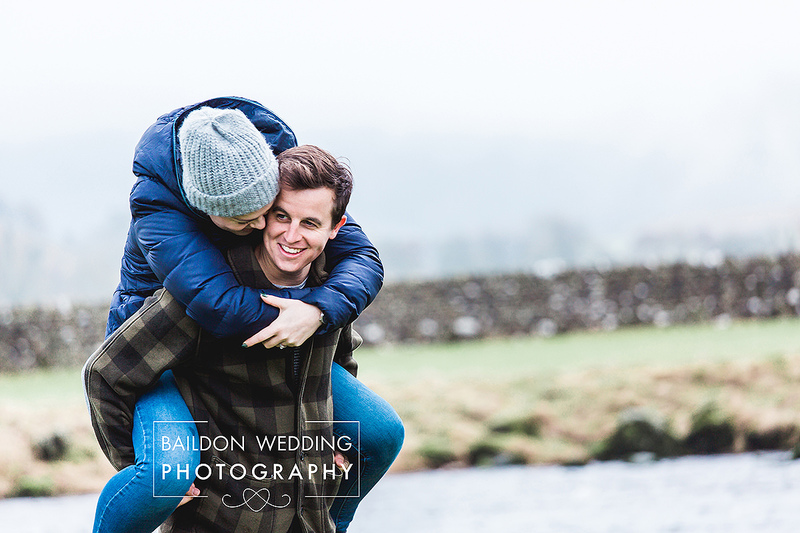 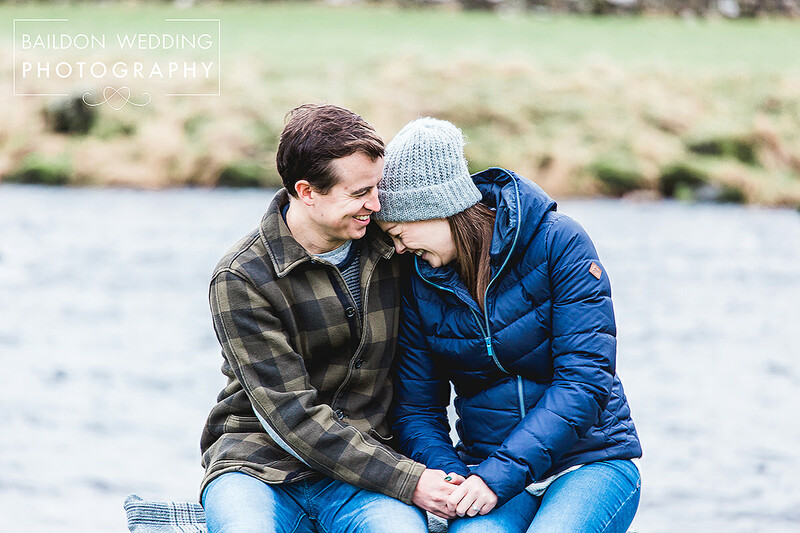 Their engagement shoot took place in the quaint North Yorkshire village of Burnsall, one of my favourite places to go on a Summer’s day. 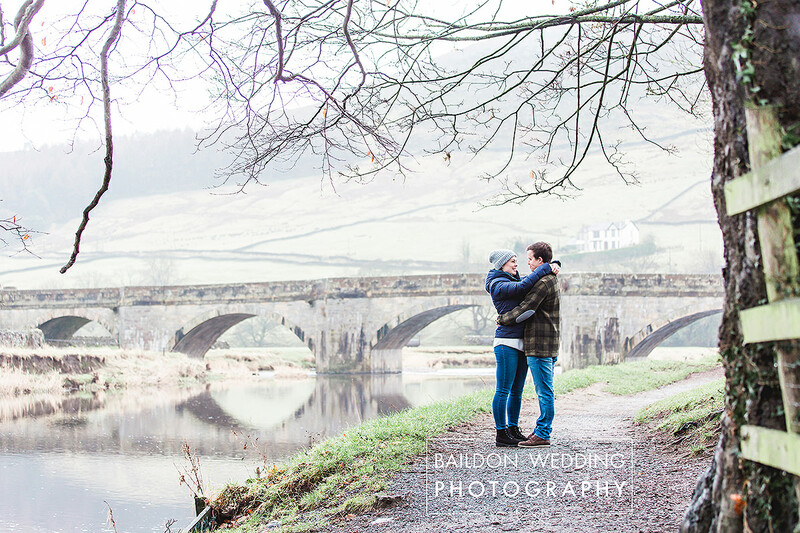 It was a little on the cold side in December with an enchanting fog over the hills, giving an air of romance to the quiet village. 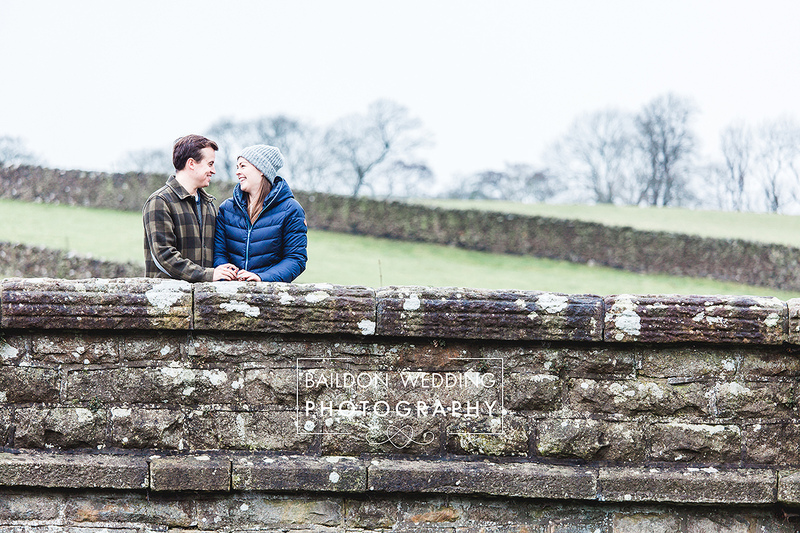 We met outside the Red Lion pub and had a short walk along the river. 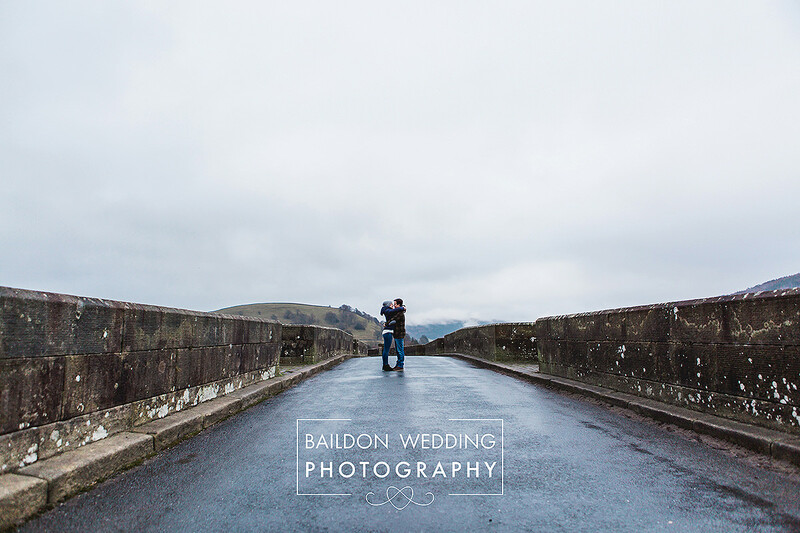 Alison and Daniel have travelled the world together working on cruise ships, and Danny had just returned from a very hot Australia before their January wedding. 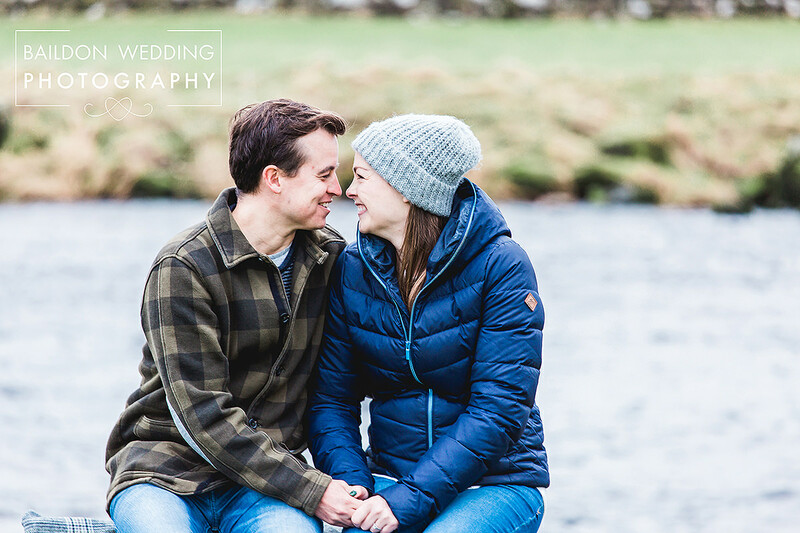 I love engagement shoots because I get to know how my couples interact with each other, and these two were so sweet together. 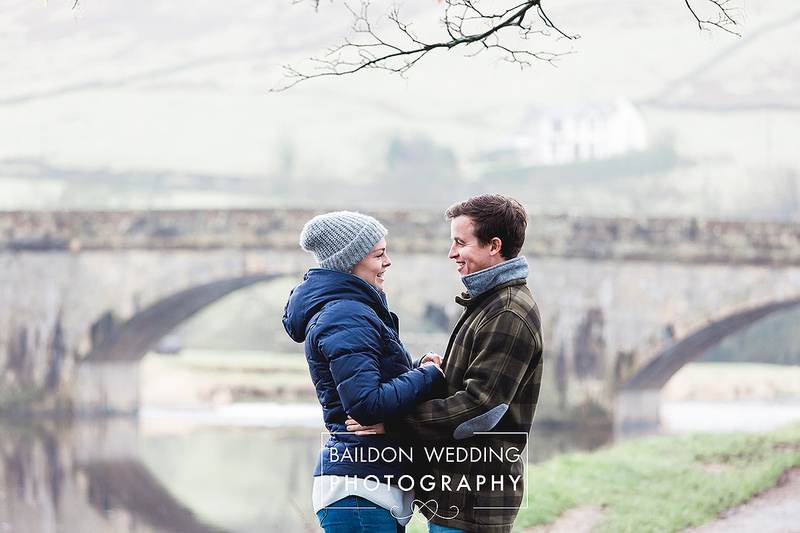 I am excited to be photographing their Yorkshire wedding in 2018.